People are spending less time watching TV and more consuming content over the Internet. As the Internet overtakes TV, it’s no surprise that one of the main reasons for this shift in our viewing habits comes down to video content. For business and enterprise, it’s a wake-up call. A video is no longer an option; it’s a necessity. Those who don’t adopt video on time will fail to keep up with their audience and lose to competition down the line. So, as not to let that happen, using video in your content marketing strategy is a must in the digital age. 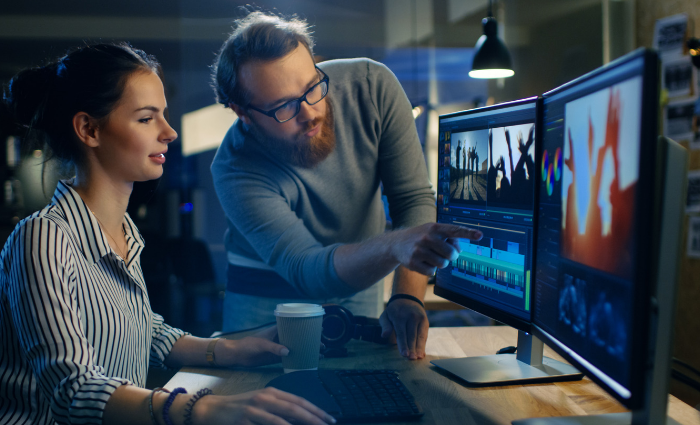 And to help you stay on top of video content, there are trends to watch out for in 2019. The increasing use of mobile devices has led to people to become lax about the sizes we like to see. Visual imagery is moving away from the standard horizontal view, as vertical becomes ever more present and familiar through our use of mobile devices. Luckily, keeping up with this trend will be painless with the switch to a square format. Instagram has already laid the foundation when it comes to photos, and it’s investment in Instagram Stories, and Instagram TV is making it possible for video as well. Already, square format videos are dominating Facebook. Square videos take up 78% more space in feeds which leads to more engagement. And in 2019, the trend is only going to continue. As one of the most popular live streaming platforms, Facebook live videos attract almost 2 billion people. And with an increasing use of Instagram Stories and Snapchat, the rise of live streaming will continue to grow in the same way it did in 2016, 2017 and 2018. Compelling as users watch live videos three times longer. Although no one likes seeing paid ads on YouTube, their effectiveness at attracting audiences don’t come into question. The same goes for Facebook and even LinkedIn, where sponsored videos are slowly overtaking other types of advertising. But, it doesn’t stop there, as more and more businesses are investing in influencer marketing to promote their products and services via favorite videos on YouTube, Facebook, and LinkedIn. In the wake of the year where Internet consumption will foreshadow TV, the production, application, and use of video content will continue to be more significant. And as consumers become more actively involved in their pursuit of quality and decision-making, videos will enable brands to engage their audiences. They can make a positive impact on customer experience to build more meaningful relationships.